Microsoft's planned adoption of Chromium (sometimes referred to as Blink), the same web rendering technology that powers big-name browsers like Google Chrome, Vivaldi, and Opera, grabbed headlines when the company announced the panned change in early December of 2018. Microsoft is likely to retain the Edge brand name, which makes this a functional overhaul more so than a cosmetic one. Ideally, Microsoft dropping it's proprietary EdgeHTML in favor of the open-sourced Chromium means Edge users will enjoy a more seamless browsing experience. This means improved compatibility with more of the internet, better mobile browsing for users, and a platform web developers should find much more familiar and easy to work with. Furthermore, extensions made for other chromium-based browsers will become suddenly become compatible with Edge. This means access to a bevy of new tools previously denied to Edge users. Finally, according to Microsoft VP Joe Belfiore, the new Edge browser will be made available for Windows 7, Windows 8, and even MacOS. This represents the first time Microsoft has created a Mac-friendly browser in 15 years. In early December, AT&T announced they would begin deploying their new 5G networks, starting with a dozen large cities across the US. As so often happens with cutting-edge new technologies, the initial results came a bit short of the hype. While some users testing these new networks have noticed a slight uptick in download speeds (compared to preexisting 4G-based networks), the differences are negligible, for the time being anyways. CNET and other sources predict that 2019 and 2020 will see rapid investment into 5G networks, resulting in more expansive coverage and greatly improved speeds. Qualcomm, for example, has just recently released its Snapdragon 855 process, specifically built to help the next generation of mobile devices take greater advantage of 5G technologies. Meanwhile, AT&T is pressing ahead, planning roll-outs in dozens more cities across the US in the coming months. 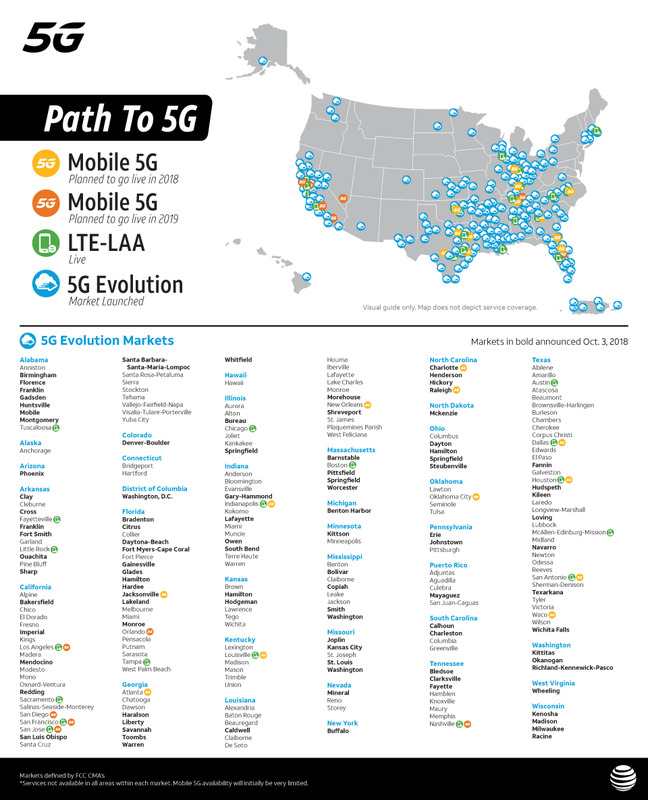 They've also put together this handy map to show which US cities can expect to start seeing 5G network coverage in the coming months. If you work for a small or midsize business, and would like to know more about these changes might affect your day-to-day operations, please send us an email and ask. We're always happy to help!